Have you ever wondered what defines greatness? As a thought starter, can you recall a performance that was less than great? Perhaps it was a musician, actor, athlete, public speaker, or someone else who—from a technical standpoint—was incredibly talented. Yet, their performance still fell flat. Alternatively, a business could be making all the profit in the world, but that doesn’t necessarily make it great. What about the impact it has on others? Is it making the world a better place? As today’s guest suggests, “excellence is not greatness, greatness is excellence plus honor”—which you’re going to learn all about during today’s discussion! 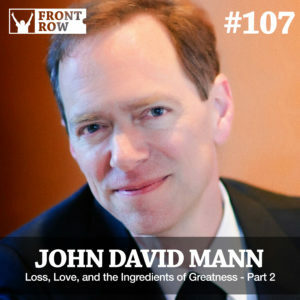 In this episode, I’m excited to be chatting with my friend and best-selling author, John David Mann who shares an intimate look at how he co-wrote his latest book The Recipe with award-winning chef, Charles Carroll. He takes us on an insightful journey from the origins of the book, to his writing process, to casting a line for big ideas! Whether you’re a writer, an artist, or someone who is trying to find deeper meaning in your life, this conversation is for you. It’s filled with wisdom on a wide range of topics, from the technical side of writing to deeper subjects, such as love, loss, and living in the moment. 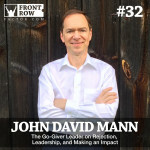 John David Mann is a best-selling author, classically-trained musician, and businessman. 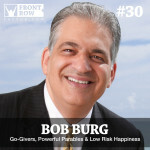 His best-known work The Go-Giver has won numerous awards, including Living Now Book Awards “Evergreen Medal” in 2017 for its, “contributions to positive global change,” and is listed by Inc. as one of the “Most Motivational Books Ever Written”. 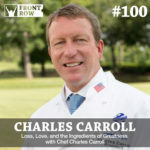 His latest work The Recipe, co-written with award-winning chef Charles Carroll, will be on sale starting October 17.